Monopods are great tools for a number of reasons. They are much more versatile than tripods, not to mention a lot lighter and easier to carry. You can pack one and not even know it's there until you need to take it out. A good monopod will let you shoot heavy gear, video and will act as an improvised jib. But getting the right monopod isn't enough unless you pair it with a quality head, and this is a mistake I often see from less experienced photographers. They settle for lower quality heads that reduce the abilities of the monopod. But how should a quality monopod head look and behave? A quick checklist should include a high load capacity, smooth tilting action and strong locking mechanisms. 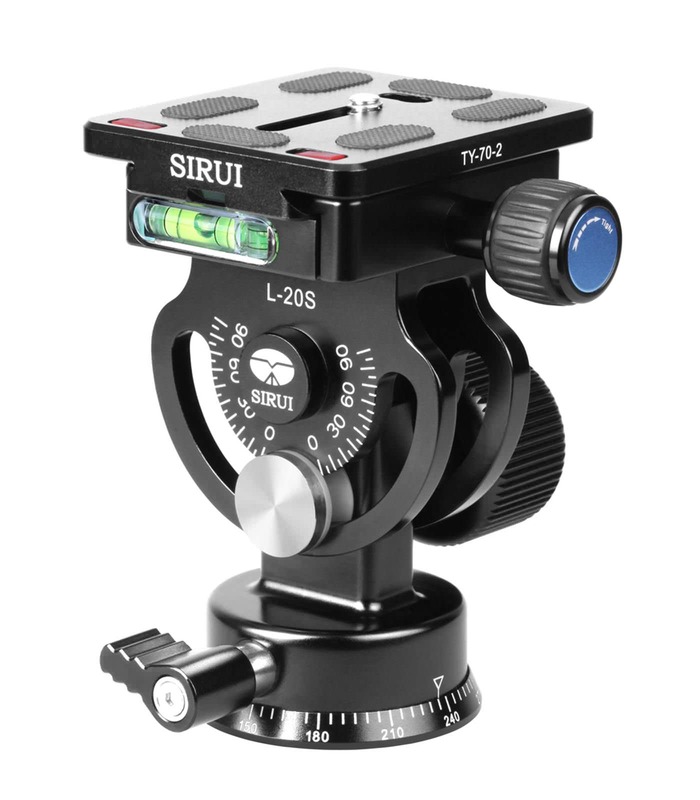 Look no further than the new Sirui L-20S monopod tilt head. With an impressive load capacity of 55.1 lb (25kg), it can hold even the longest super telephoto lenses combined with heavy pro camera bodies. That makes it the ideal choice for sports photographers and wildlife shooters. It is rugged and stable, giving the photographer complete confidence and making it very easy to use the monopod. It has a large tilt lock knob and calibrated tilt scale, thus enabling quick, responsive and repeatable operation. Sirui have designed and patented a Dual Safety Lock Platform and the Sirui Quick Release Plate, which are included, that prevent the camera from sliding off the head. 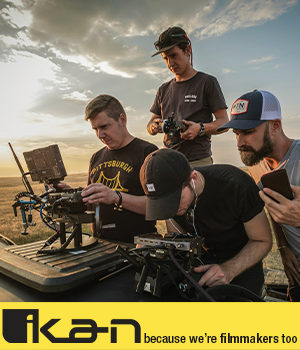 The system offers high end performance and reliability which is really something you want when you put thousands of dollars worth of gear on it. The L-20S can take most Arca-compatible quick release plates and it can be attached onto 3/8 inch mounting screws. 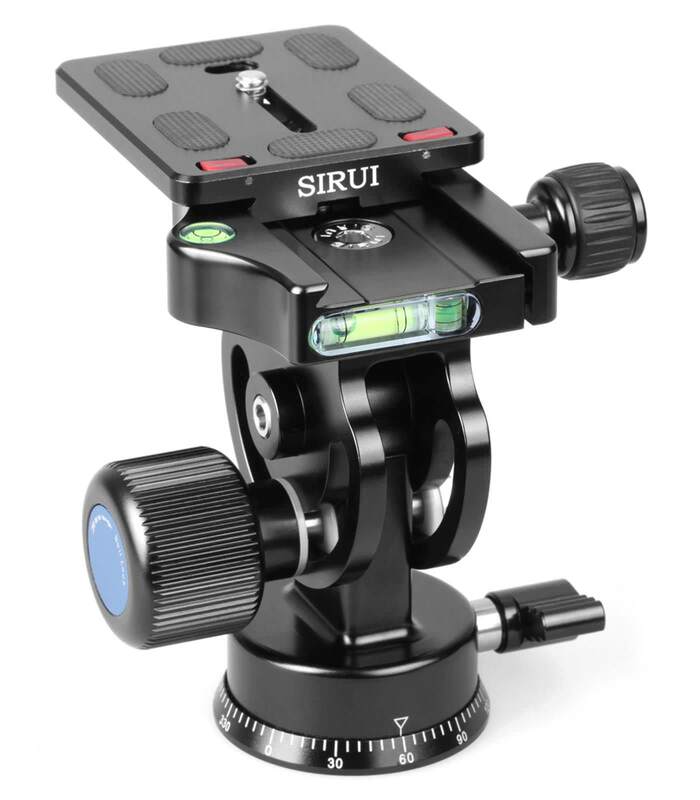 If you need to rotate the Quick Release Platform 90° - when using L-Brackets, camera specific Quick Release Plates or for creative control – the SIRUI L-20S has your solution! Simply unscrew the QR Platform, lift and turn the Platform 90° and re-tighten the screw. Fast, easy and convenient! This monopod tilt head truly shines when you use it with heavier gear, starting with 70-200mm f/2.8 zooms. It just handles the weight really well, which is not so common when using monopod heads. 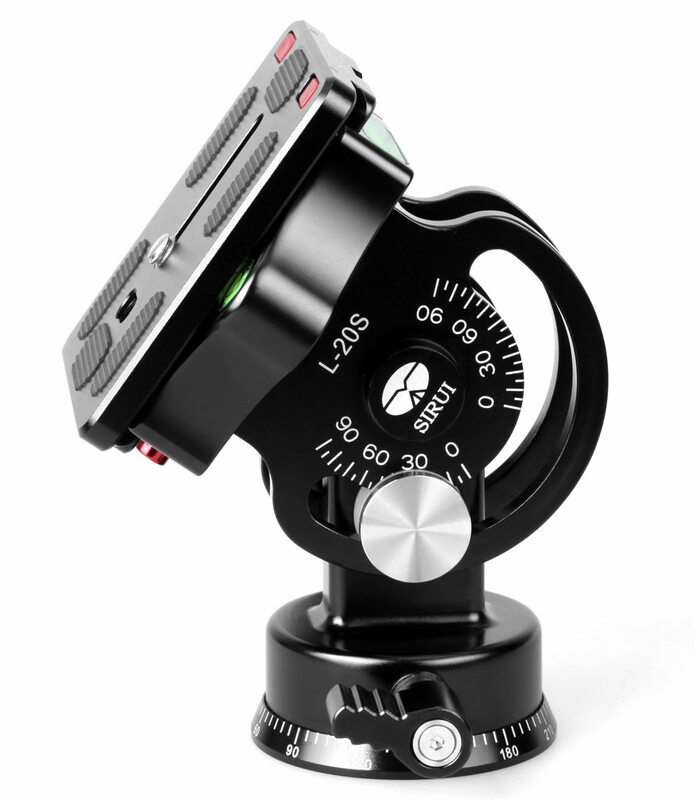 As an added bonus, the L-20S has a panning base which allows you to smoothly follow the action with your camera. Combine it with a Sirui monopod and you'll end up with a combo that will give you confidence, peace of mind and it will ease your creative process. See the full specs of the Sirui L-20S here.